Harry- I would probably try to figure out all of the stuff that the CIA, FBI, and other government keeps to themselves. I would know what everyone has wanted to know for years, and years, and years, and years. I would try to figure out all of people's biggest wonders and figure out what people want to know and haven't found out about. Do aliens exist, do ghosts exist, can you make anti-gravity? (Cam's idea for aliens is to switch their brains for Jello-O). I would figure out what is going to destroy the world first? What natural disaster will destroy it first? I would also make traveling by map real, like in the Muppets. Cameron- I would do stuff for my own good, like I would somehow think of a mind-control device that made everyone do everything I said. I would rule over 51% of the earth and seize control of the world. After I was done with that, I will design a real Death Star and speak like a mix between Darth Vader and Kermit. The Muppets would be real, living creatures under my control. They would entertain me when I wanted them to. And Tintin would be my personal bodyguard. I would make a machine that would make everything from books come alive (only the stuff I want). Ben K.- I would recreate a real-life Portal gun. That means that I can travel anywhere in the world. I would try to take control of the world by making a mind-controller and using my Portal gun everywhere I went. Ben J.- I would be the Einstein of the 21st century. That means that I would not look like him but do things like him. The reader can fill in the blanks of what I would do. 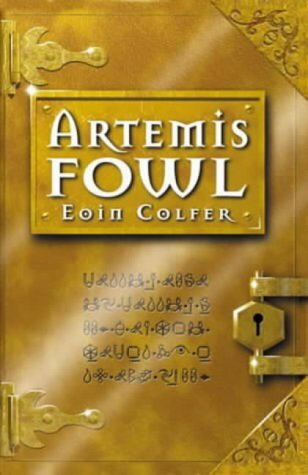 Artemis Fowl was a good book. The Book Club book for June is Wonderstruck by Brian Selznick. Come by the library and pick up your copy from behind Miss Lisa's desk. We will be meeting on Wednesday, June 6th at 3:00 p.m. Snacks will be provided.